Those with an iPhone don't know how good you have it when it comes to to-do list apps. 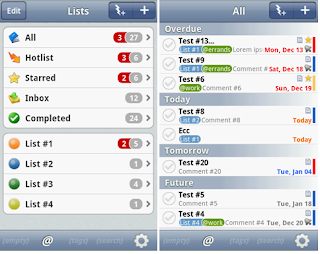 When I had my iPhone, I installed and tested several applications that synced with my to-do list of choice, Toodledo. From a native app (Toodledo) to the visually appealing 2Do, to my eventual favorite, Todo, these were just a few of a plethora of applications designed to keep you on top of your lists. 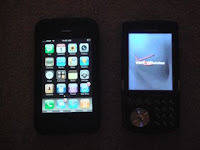 Cross over to the Android platform, and the pickings are much slimmer. With no native app available, I have experimented with several noble attempts, but none have come close to producing a simple, elegant, and efficient interface capable of helping me keep track of my to-dos while on the move. That all changed when I found DGT GTD. GTD (the popular acronym for "getting things done") is a philosophy used by those including myself to stay on top of one's everyday tasks. 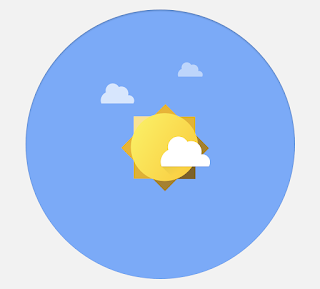 For me, it means keeping my email Inbox clear, my calendar organized, and my to-do list constantly updated. The Android app, also titled GTD is made by DGT (say that three times fast), and as a standalone task manager, the application provides a ton of features, including lists, hotlists, recurring events, voice recognition for new tasks, and more. Casually included in this feature list is the synchronization capability with Toodledo, though it should be noted that an add-on application needs to be downloaded and installed to make this work. Although the developer states upfront that the application is still in its alpha stage, there has been nearly nothing but positive praise for the application, and this reviewer will only add to the hype. DGT GTD is fast, responsive, and elegantly designed. 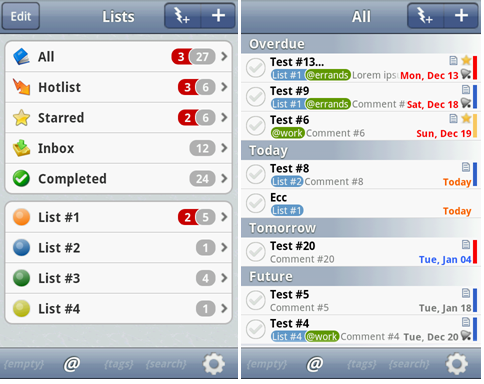 The color coding system for tasks, dates, and labels in both the application and the included widget (iPhone users - wipe that drool off) is done in good taste and settings allow for a fair amount of customization. The best part of DGT GTD is its fast sync with Toodledo. My first synchronization took a bit longer due to the number of tasks, but future syncs took only a few seconds, and best of all, background syncs are enabled. I have mine set to every hour, so I don't have to manually sync the application whenever I open or log in. This was a key feature missing from every single iPhone/iPad app that I tested. Not only does DGT have this capability, but it handles the auto sync very well and I haven't had any issues. Folders are synced perfectly, and changes made on either the mobile or web side are observed shortly after. If you use Toodledo and you own an Android mobile phone or tablet, I highly recommend DGT GTD as an app to keep your tasks synchronized. As of this review, DGT GTD is free and available through the Android Market. hi! I've just started using it. nice app. do you know if it syncs control lists (the 3rd task type, after "task" and "project") with toodledo?